Iceland has been on my list for a while now, so I was SO excited when my boyfriend surprised me with plane tickets for us for Valentine’s Day weekend. 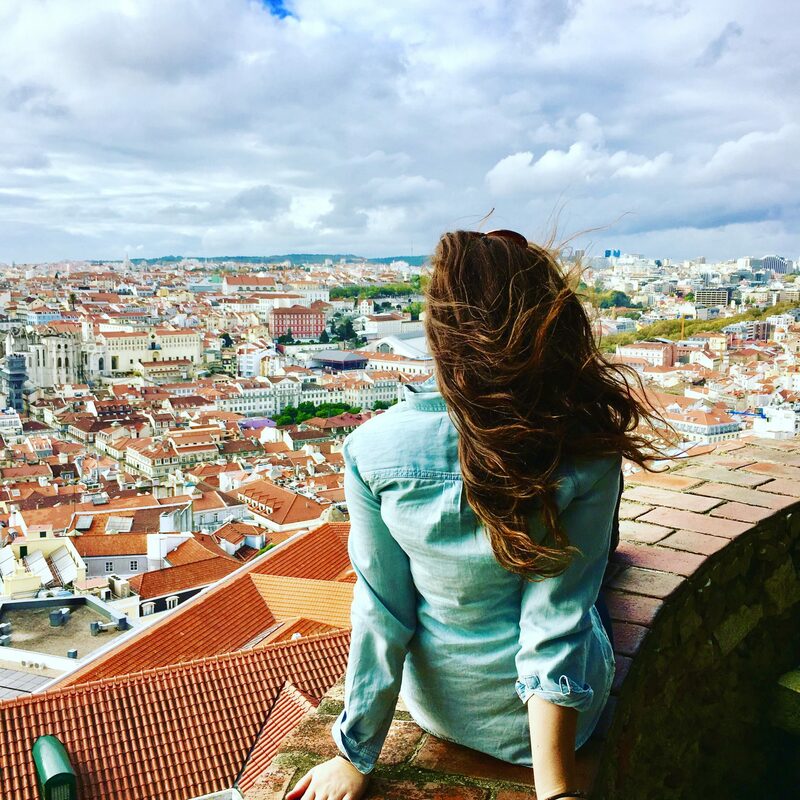 Before our trip, I spent a LOT of time researching what I wanted to do, and was overwhelmed by all there was to see and was wishing we booked 2 weeks instead of 3.5 days If you’re feeling the same, then this post is for you! Not only will you find the perfect itinerary for 3.5 days in Iceland complete with photos of each stop, but also some tips that I learned while I was there…like to avoid ordering the fermented shark and to invest in waterproof pants. If you haven’t heard of WOW airlines, look them up. They have purple airplanes, CHEAP flights, and uncomfortable seats (but for the price you can live with the seats.) WOW flies direct to Reykjavik, Iceland’s capital city, from a handful of cities in the US; Washington DC, Pittsburgh, New York, Boston, San Fran, Miami, and LA. If one of these cities is not your home city, it still may be to your advantage cost wise to drive/fly to one of these cities first and then take WOW from there because of their amazing prices. It’s obviously your choice how you choose to get there; the only thing that matters is that you do indeed get there! Now I will point out that a lot of flights to Europe in general, including Reykjavik, fly in the middle of the night. With the time difference if you are coming from the US especially, it will put you arriving in Reykjavik bright and early in the morning. In my case I arrived at 5am, which don’t let that scare you off, it is totally doable. So you arrive. What next? Rent a Car! There are a lot of different rental companies right at the airport that make picking up a rental very easy. I booked my car a few weeks in advanced through Blue Car Rental (I chose them because insurance & GPS was included in the price), and I went with an SUV with automatic transmission. Note- the automatic cars go fast so my recommendation is to book in advance if possible. The thing with Iceland is that everything is so spread out, and you are reliant on either a car or tour bus companies to take you to all of the beautiful sights. The rental car option gives you much more freedom to explore at your own pace and save money, as an average day trip tour costs around $100/p. If you do arrive way early in the morning, my next recommendation is to head to Reykjavik for breakfast while you wait for the sun to rise (about 45 min from the airport). Most places don’t open until 8am but there are a few that open at 6am and these are the ones you’ll want to check out- I went to Sandholt Bakery and was not disappointed. First things first, the ISK is the symbol for the currency in Iceland, the Icelandic Krona. I’ll save you the embarrassment, if you say “Isk” you’ll get laughed at. It’s the equivalent of somebody trying to pronounce USD instead of saying U.S.D. or Us Dollar. So anyways, the ISK is equivalent to approx. $.001, meaning that 1000 ISK is around $10 ($9.29 right now). Most things you’ll see 3 zeros, as in everything is at least $10. A burger is 3000 ISK, a beer is 1000ISK, a steak is 6000ISK…. aka everything is expensive, so be sure to budget for food when you are planning your trip. Pro Tip- The cheapest place to buy alcohol is at Duty Free at the airport, so stock up before leaving. If you only have 3.5 days in Iceland, like I did, it’ll be necessary to pick and choose what parts of Iceland you want to see (and what you’ll have to save for next time.) I broke out my 3 days by geography and spent Day 1 exploring the Snaefellsnes Peninsula, Day 2 exploring the infamous Golden Circle, and Day 3 exploring the South Coast. Day 4 was my travel day home, but I was able to squeeze in a morning visit to the magical Blue Lagoon before departing (more on this later). The scenic drive from Reykjavik to Stykkisholmur (the top of the Peninsula) takes about 4 hours without stopping, and with all the stops you’ll have yourself a full day. After an overnight flight, the last thing you’ll want to do is drive 4 hours there and 4 hours back, so my recommendation is to stay the night near Stykkisholmur your first night (I booked a cabin on airbnb). This is a very remote area, which lends itself to a greater chance of seeing the Northern Lights and truly experiencing Iceland. – Hvalfjordur Tunnel- Upon leaving the city you’ll go through the Hvalfjordur tunnel which costs 1000 ISKs (~$10) to go through so be sure to have cash on you. – Gerouberg Basalt Columns- If you’re getting antsy in the car, pull over to check out this big wall of natural columns. -Rauofeldsga Gorge- Here you will see a deep ravine cutting into the side of Botnsfjall Mountain. You can see this from the road, but what you can’t see is the hidden waterfall inside the gorge. It’s an easy 15 minute to get inside the gorge, and well worth the stop! – Hellnar- If you’re in need of a break, stop in this little sea port town to enjoy the harbor area. – Djupalonssandur Black Sand Beach- If you can’t wait until Day 3’s black sand beach, this is a nice place to stop and put your toes in the sand. – Snaefellsjokull Glacier- If a glacier is on your list, there is one in this peninsula where you can do glacier hikes. – Kirkufell Mountain- This is the most photographed mountain in Iceland and nearby you’ll find the Kirkjufellsfoss (foss = waterfall). – Berserkjahraun- You’ll drive right through this lava field, worth a photo stop for sure as youll see the lava formations on both sides of the road. – Mt Helgafell- This is a small mountain, should take about 15 minutes to climb to the top if you wish, and funny enough legend says you’ll be granted 3 wishes. – Sugandisey Lookout Point- At the very top of the peninsula you’ll have a great lookout point of the sea. This is a lovely place to watch the sunset. – Stykkisolmu- A nearby town to have dinner before retiring to your accommodations for the evening. We ate at a place called Skurinn, it was fairly reasonably priced for Iceland. There is also a grocery store in this little town where you can pick up stuff to make your own dinner if you choose. Either way- I recommend stopping at the grocery store to grab some breakfast food for in the morning so you don’t waste daylight searching for breakfast. Stocking up on car snacks and lunch food is a great idea too, as you’ll be surprised that there aren’t as many places to stop as you might think. The Golden Circle is like the Cliff Notes version of Iceland, if you only have one day in Iceland this is what I would tell you to do. There are a lot of tour companies that will take you on this route too, so if you don’t have a rental car, this would be a great tour to start with. The basic Golden Circle route starts and ends in Reyklavik and takes about 3.5 hours without stops, but again you’ll be stopping a lot because there is so much to see! If you followed my Day 1 itinerary, you’ll be coming from the north, and can pick up the Golden Circle route on your way back down. You’ll want to check out of your AirBNB/Hostel though, as you won’t be returning. My recommendation is to make Reykjavik your home base for the next two nights. – Pingvelir National Park – A UNESCO world heritage site, with beautiful views. – Oxarafoss Waterfall- You can walk the scenic trail to this waterfall from the national park or drive right to it. – Flosagja Fissure- This is also inside the national park. This spot is where two techtonic plates come together, you can even go snorkeling in between them! – Efsti Dalur- Because who doesn’t want to stop for the best homemade ICEcream, you are in ICEland after all. – Geysir- This area is full of geysirs, the most well known is Strokkur which goes off every 7 minutes or so. If you’re lucky Strokkur’s big brother might go off too. – Gullfoss- Another beautiful waterfall not to miss. – Kerio Crater- If you still have daylight left on your way back to Reykjavik, this place is worth a stop (even with the 400ISK (~$4)) admission fee. Here you’ll find an old explosive crater with the most unique coloring that you can walk 360 degrees around on the top or hike down to its base. Once you arrive back in Reykjavik, check in to your next airbnb/hostel and get ready for a night on the town. Reykjavik has a ton of restaurants, bars, live music, etc. If you are looking to try some of the local cuisine there are quite a few places that offer this unique food. Besides Icelandic Fish and Chips you’ll find things like puffin, whale, and fermented shark on the menus. I personally didn’t taste these (the smell was enough for me) but my boyfriend did and he said they certainly were unique. This was my most favorite day, but this may be partly because the sun finally came out! (I unfortunately didn’t have the best weather the majority of my trip). Exploring the South Coast is another full day trip from Reykjavik. To drive to Vik and back, without stops is about 6 hours. If you have more time, I would tell you to keep driving East to Jokulsarlon where you’ll find a beautiful glacier lagoon (another 3 hours) and stay the night there. It may be possible to cram all of this into one day (9.5 hours of driving without stops) but I personally didn’t do it, had to save something for next time! – Seljalandsfoss- This was my favorite waterfall of the trip and what made it so amazing was the fact that you could literally walk 360 degrees around the waterfall! Note- you WILL get wet, so pack rain gear if possible, otherwise be ready to crank up the heat in your car afterwards (I went with the second option). – Skogafoss- Another beautiful waterfall, this one you can enjoy from the base or climb a few flights of stairs to get to the top for a unique aerial view. – Dyrholaey- These cliffs offer the most amazing views! If you’re lucky you may even see puffins here as this area is nicknamed “bird cliff” (I was not). – Vik- The home of the infamous beautiful black sand beaches! Take your time and walk along the sand, collect some seashells, and enjoy the view. In this town you’ll also find an amazing church on a hill overlooking the ocean and a few restaurants if you need a lunch break before heading back to Reykjavik. 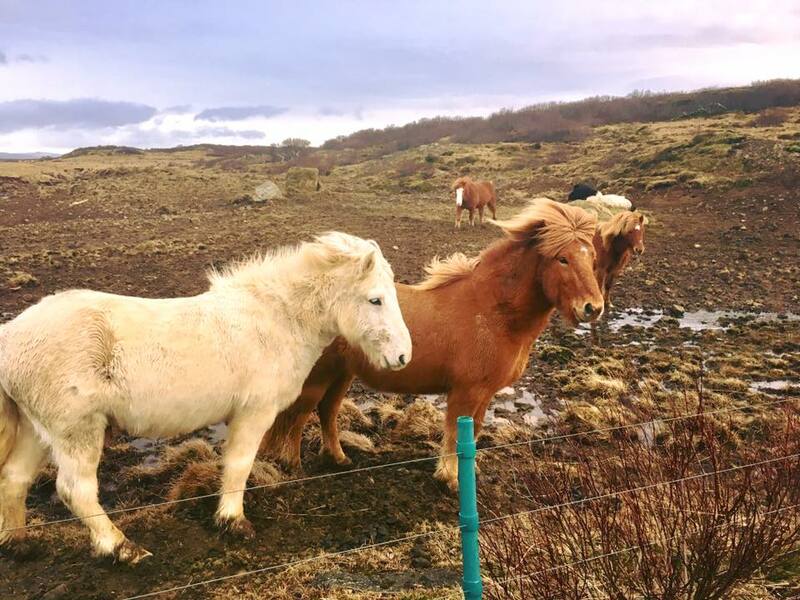 – Icelandic Horses- I saw these horses on the side of the roads everyday, they are so friendly and love visitors! Be sure to stop and say hi at some point! The Blue Lagoon was one of the highlights of my trip, and I’m so glad that I booked an afternoon flight home so that I could experience this! It is highly highly recommended that you book your time slot for the Blue Lagoon online ahead of time as they allow people in in waves, and once a time slot is sold out you’re out of luck. It opens at 8am and I choose this early time slot to maximize the amount of time I could spend there (plus it was less crowded and we could watch the sun rise). There are different price packages which you can purchase, all of them come with a drink at the swim up bar and a mud mask. You can upgrade to other packages which include additional amenities like a towel, slippers, a robe, and a silica mask, to name a few. In my opinion, you can skip the robe and the slippers because you’ll be in the water 95% of the time. Don’t skip the swim up bar though! Pro Tip 1 – be sure to put lots of conditioner in your hair both before and after going into the lagoon (it is complimentary in the showers) as the water tends to harden your hair. Pro Tip #2- Get a waterproof phone case/pack for your phone if you want to take pictures in the lagoon, I saw way too many people asking if they sold them there, and they were disappointed they did not and therefore didn’t want to risk taking their phone in the water. Pro Tip #3- There is free wifi so you can post snap chat selfies, and yes there is a Blue Lagoon filter. Pro Tip #4- Leave your wallet in your locker, everyone is given a smart wristband which lets you charge whatever you need to your wrist, including additional drinks at the swim up bar! – I so want to do the Jokulsarlon glacier hike!! – I still need to see the Northern Lights! P.S. if you have more than 3.5 days in Iceland, then check out these posts for a 6 day Iceland Itinerary or a 7 day Iceland itinerary or this 9 day Ring Road itinerary. And if you’re a Games of Throne’s fan then I have the perfect DIY Game of Thrones Iceland Roadtrip Itinerary for you too! Iceland is like a place out of a fairy tale. The Silfra is also a must-see! Lovely photos, by the way.